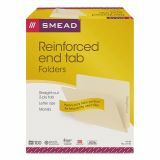 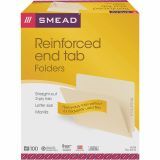 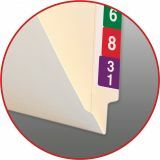 Smead End Tab Folders, Reinforced Straight-Cut Tab, Letter, Manila, 100/Box - Made with a double thick tab for strength and durability, these heavy-duty 11 point manila folders are split-punched on 2-3/4" centers in positions 1, 2, 3 and 4 for customized fastener installation. 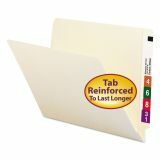 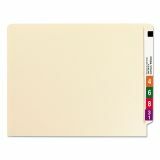 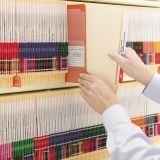 Folders expand to 3/4". 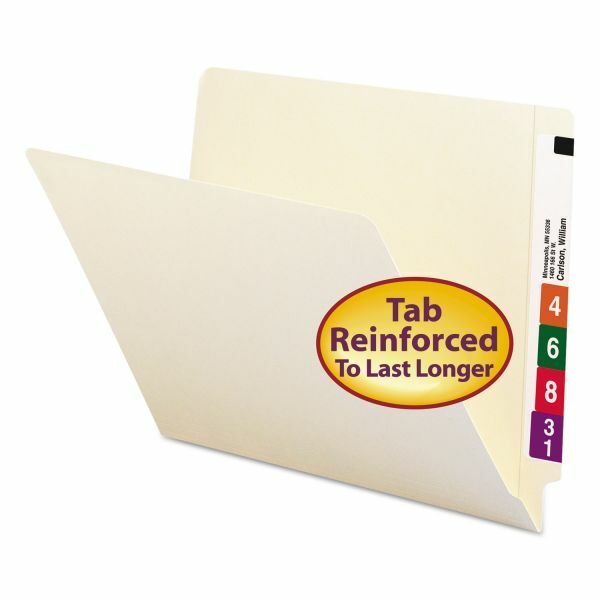 Reinforced straight-cut tabs are 1/2" wide. 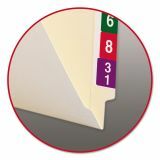 9-1/2" high front. SFI Certified.